The Himalayas are that component which not only grants the country with rich and abundant natural resources but also the all giving mother of tranquillity and beauty. The lakes in the Indian State of Uttarakhand are very mystical sand fresh that draws away all of the stored fatigue and stress of one's life. 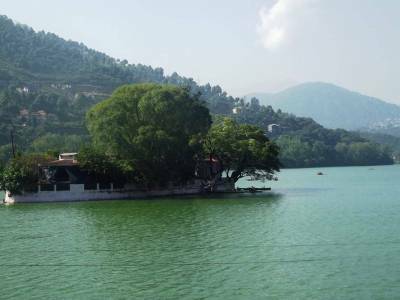 The Bhimtal Lake is located at a height of 1370 feet above the sea surface. It has a small town encompassing the scenic lake. 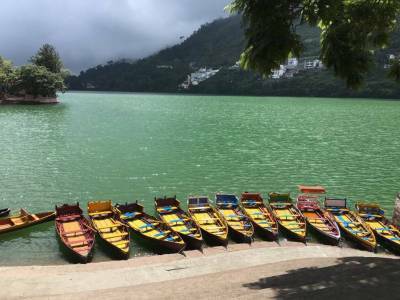 The Bhimtal Lake is located very near to the famous Nainital Lake and is in a fast track lane on becoming a more popular lake in Uttarakhand surpassing the Naini Lake of Nainital. 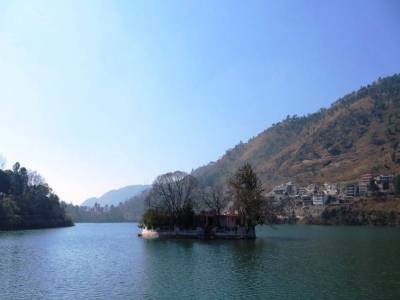 The naming of the Bhimtal Lake is form the Hindu mythological story of the Mahabharata. It is believed, Pandava visited in this place and named after the strongest Pandava, Bhima. The aesthetic beauty and the serenity of the atmosphere, gives the lake its tourist magnetic power. The vista of the lake from the adjacent highlands is a simple yet profound beauty that acts as the greatest crowd puller. 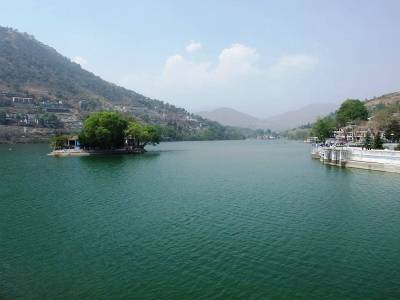 The main attraction of Bhimtal Lake is it large fresh water body. The lake has a small island at its centre and the boating rides to and around it is one of the tourist activities of this exquisite lake. This scenic lake of Uttarakhand is one of the most popular weekend getaways for the people in this idyllic mountain region. For tourists there are restaurants and shopping arcades around the lake. The Bhimeshwar Temple is located near the Bhimtal Lake and it is another one of its sightseeing zones. 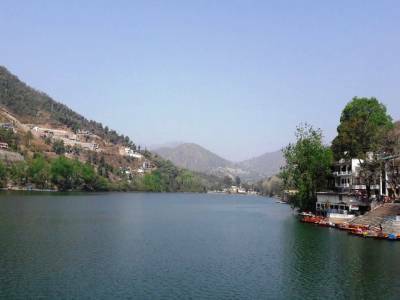 Get quick answers from travelers who visit to Bhimtal Lake.